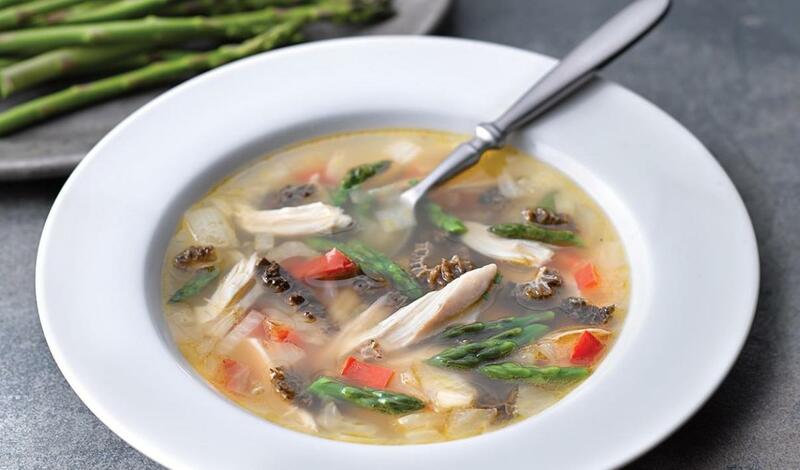 Add interest to classic chicken soup with mushrooms, fresh asparagus and tender rotisserie chicken. If using dried morels, soak in warm water until soft – drain and slice. Sweat onions in a small amount of oil until translucent. Add red pepper and mushrooms and sauté for 3 minutes. Add prepared Knorr® Liquid Concentrated Chicken base and rotisserie chicken meat. Bring to a simmer. Simmer for 10 minutes.